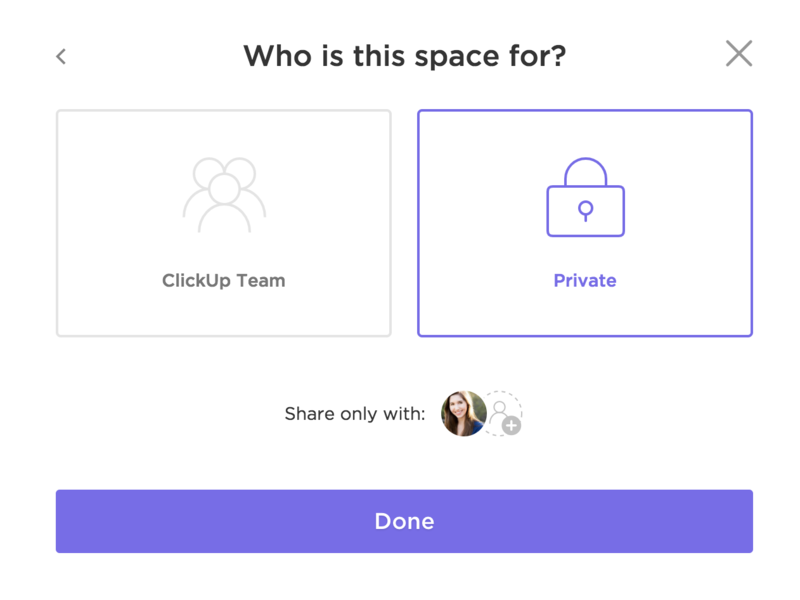 Spaces are the second level of the ClickUp organizational structure, and they let you customize everything. Spaces break down your organization into different groups, departments, workplaces, etc. Spaces separate different workflows required for different focuses within your Team. You could even create a separate Space to manage personal items and tasks. Note that Guests do not have access to the Space level of the Hierarchy. They can only be invited to Projects, Lists and tasks. Beyond the Space privacy settings listed above, you can also set permissions for Projects, Lists and tasks within a Space. You'll also be able to choose whether you want to use simple or custom statuses for tasks within this Space. 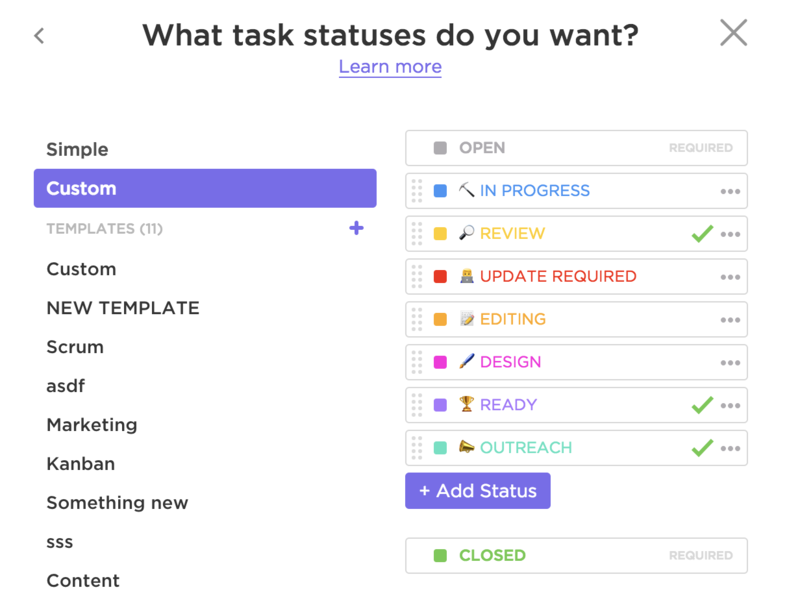 Statuses delineate the different phases of your task workflows. By default, all Projects within this Space will take on the statuses you create here. However, you can choose to set up separate Project-level statuses if you wish.